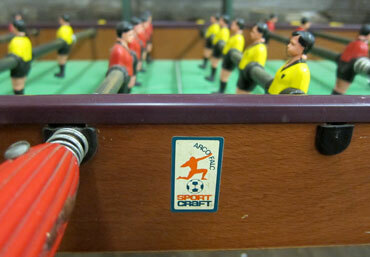 [BB-Blog]: Italian-made Arcofalc Foosball Table. 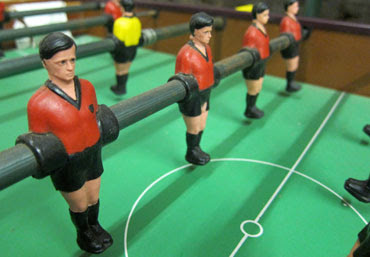 Ah, the ol' table football. Takes me back to my college days. This vintage piece is a beauty. And the price ($250) seems quite reasonable considering its age and condition. Though this trench is stylish, it’s also fully functional for the rainy season. Designed to withstand all of the elements, this trench includes a feminine fabric and a silhouette-flattering belt. 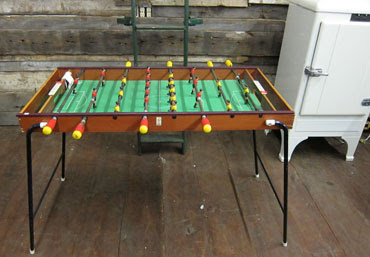 I have the exact table but its made by Regant from France. I cant find it any place on Google but yours which is very much the same.. are they worth about the same in price?